VDEPO meets the needs of individuals and companies specializing in the production of video depositions. Its size, weight and feature set make it the most versatile and cost-effective deposition recording solution in the industry. 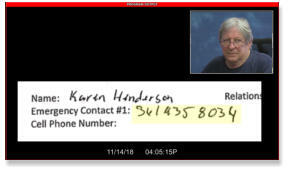 Significantly, you can record the switched ‘program’ and simultaneously record up to three individual inputs, with all files saved on the hard drive. This eliminates the cost and hassle of external recording units. 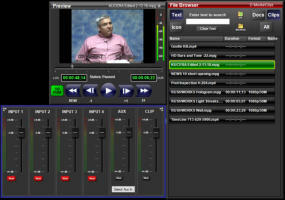 The interface is large and intuitive, with on-screen monitoring of up to four sources. 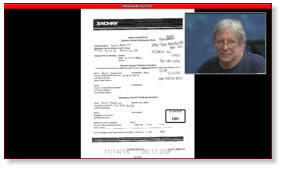 These typically include the deponent camera, a tabletop document camera, and one or two laptops or tablet computers. The deponent camera always appears in the PiP window unless you click Input 1. Then the deponent camera goes full screen, hiding the PiP window. Click any other input and that becomes the full screen background image, and the deponent’s PiP window reappears. 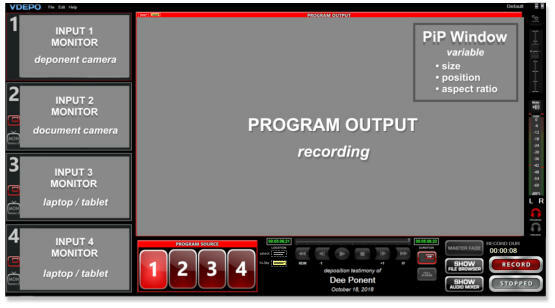 The in-room monitor can display the program output with PiP … or display a gray placeholder where the PiP is active on the program being recorded. All the system components are contained in a single ruggedized Pelican shipping case. The computer is lightweight (6 pounds) and small (13” x 13” x 3.5”), designed for quick and easy setup and operation, and virtually noiseless. It has four HDMI inputs to accommodate multiple sources during testimony. 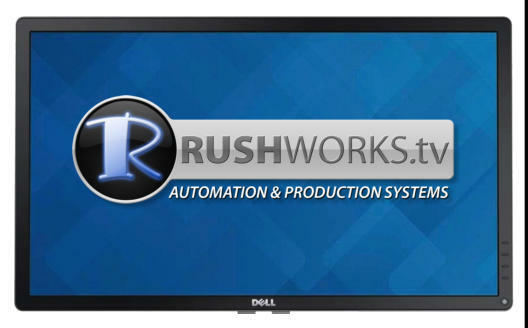 It includes a small, high-resolution 15.6” touch screen monitor and a second 12” monitor so you can set the VDEPO chassis at your feet and have only the small monitors on the table. The File Browser and PREVIEW windows let you search for, select and display both CLIPS and DOCUMENTS before showing them on-screen. Use the full-text search engine to quickly locate files by key words. 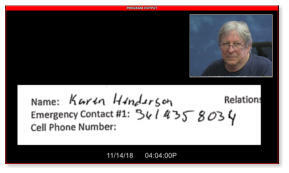 This powerful functionality saves lots of time by minimizing the need for introducing evidence using cumbersome external devices. Preview clips while monitoring audio. 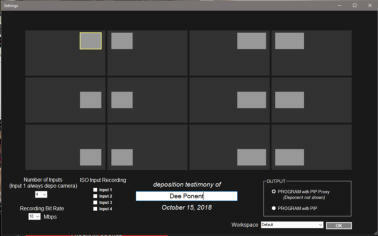 Select a Start position, and click the TO PGM button to display the clip in the active deposition Program window. There is a multi-input audio mixer, and you can even monitor clip audio by headphones and cue to a particular part of the clip before showing it on-screen. When you start a new session, choose from 12 layouts for PiP (Picture-in-Picture) display for the deponent’s camera. The 4:3 Upper Right is the default selection. You can move and resize the window in real-time during a session. Just enter the deponent’s name, click SAVE, and your session will begin. Use the Selection rectangle to define a bounding box in a DOC or CLIP. Release the mouse the the selected section will zoom full screen beneath the deponent PiP window. Then use the Hi-Lite rectangle to select an area you wish to emphasize on the zoomed image. The system includes a Pelican iStorm ruggedized case with customized foam cutouts for system components, with room for additional items like a document camera, microphones, cables, etc.